One of the very common problems that people have with nutrition is that they have sugar cravings. I see a pattern regularly in my clinic, where people try to lose weight but because they are addicted to sugar and carbs it is very difficult for them to do so. The problem is made worse by the food industry that has learned to exploit human physiology so that people get addicted to the sugar, salt and fat content of processed foods. Journalist Michael Moss wrote a great book that I highly recommend called “Salt, Sugar, Fat: How the Food Giants Hooked Us” that explains the lurid story of how big food companies manipulate mouth feel and processed food combinations to hook us on their products. The good news is that herbs and other plants can help us break our addictions to certain foods and to sugar. Our organic herbal formula, Dia-Slim, not only helps people lose weight and burn stubborn fat from the abdomen and thighs, but it also helps people with sugar cravings. 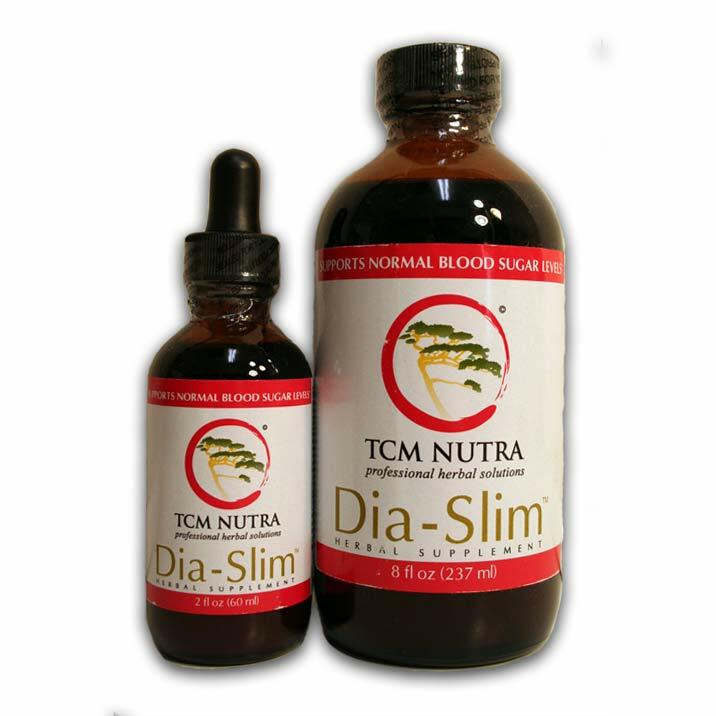 The herbal combination in Dia-Slim will teach your body how to stop sugar cravings. Sugar cravings, carb cravings and specific food cravings can impel a person to over eat and to make unhealthy food choices. In many cases, people fail to lose weight because they cannot resist their cravings for sugar. Dia-Slim contains an herb, Gymnema, that is known as “the sugar destroyer” in India. But Gymenma alone is not enough to achieve the best results. We have combined Gymnema with 8 other herbs to create an herbal formula that short circuits and destroys sugar cravings. Along with gymnema we use green tea, bitter melon, cinnamon and other herbs to help you lose weight naturally. People report not only losing weight with Dia-Slim, but having more energy, stopping sugar cravings, and feeling a deeper sense of well being. Understanding natural remedies for diabetes is an important part of the medical education of the diabetic. There are so many nutraceutical and herbal remedies in the marlet place that it is difficult to know where to begin. Starting with a detailed understanding of the mechanisms involved in type 2 diabetes is a good start. After that you can check out a company and see if they have a natural remedy with good science supporting it. You also need to understand how it is manufactured and where. Type 2 diabetes is a complex syndrome often involving many interlocking physiological factors. For many people diagnosed with type 2 or pre-diabetes, a condition called “metabolic syndrome” has been initiated in their bodies. Metabolic syndrome is a collection of disorders or a constellation of signs and symptoms that increase a person’s risk of heart disease and of diabetes. In many ways, metabolic syndrome (also known as metabolic syndrome X, cardiometabolic syndrome, syndrome X, insulin resistance syndrome, Reaven’s syndrome (named for Gerald Reaven), and CHAOS (in Australia), is very similar to what in Chinese medicine we call “pattern discrimination.” When we look at the totality of a person’s pattern in Chinese medicine we take into account a diverse array of medical information including all their symptoms and other signs, such as the quality of the pulse, coloration of the face and tongue and emotional state. About 1500 years ago in China, diabetes was recognized as a disease state. Sun Simiao, a famous Chinese physician, recommended that patients with diabetes not drink alcohol or eat starchy foods more than 1400 years ago. Needless to say, the Chinese culture was incredibly advanced and their understanding of and utilization of natural remedies for diabetes was and is incredibly profound. Physicians of Chinese medicine used dietary therapy, acupuncture and herbal medicine to level blood sugar, decrease fat tissue and help improve insulin resistance. Fast forward 1500 years to today when companies like TCM Nutra use modern herbal research combined with traditional Chinese wisdom to create state of the art herbal remedies for disease states. Our flagship formula, Dia-Slim was researched as a natural remedy to help people attain a healthy weight, healthy blood sugar levels and improve insulin resistance. We have found that Dia-Slim really helps battle and short circuit intense carb and sugar cravings, making it easier for people to make wise and healthy food choices. Though we do not promote Dia-Slim as a natural remedy cure for diabetes, we feel certain that many people can benefit from side effect free natural remedy that can assist many of the complications of metabolic syndrome. Natural remedies for diabetes have existed for thousands of years, what is important is to know if there is good research behind them and if they work. We feel certain you will be thrilled at the results you see with Dia-Slim. This article and short video will teach you how to use Chinese herbal medicines. There’s a lot of misinformation about Chinese herbal medicine on the Internet. Basically Chinese herbal medicine and its history, is many thousands of years old. Chinese herbs have been used for more than 10 thousand years and the written herbal tradition is more than 2 thousand years old. Just because something is old doesn’t necessarily make it valid, but its pretty safe to say that the Chinese culture is one of the smartest cultures on the planet. The Chinese invented the printing press, they invented paper, they invented gunpowder, they invented the compass, they also invented Chinese herbal medicine. And this continual usage over time is now being verified with modern scientific studies and other methodologies. There are a lot of problems with those methodologies and they are debatable when used for herbal medicine, but they’ve also been useful in proving that the medicine is very valuable. There are a few things about Chinese herbs to keep in mind if you’re online and you’re seeking out herbal formulas on the Internet. First, there’s a history of patent medicines in China, which means a combination of herbs used for a particular condition, so a patent formula might be what we consider an over-the-counter formula here in the US. We call these formulas OTC for short. Some of these patent Chinese herbal formulas have become popular here in the United States. For instance, Yin Qiao San is a popular Chinese herbal remedy sold in many health food stores. Many people who know a little bit about Chinese herbal medicine know a formula called Yin Qiao San that they use for colds and flus when a sore throat is present. But you might not know that the formula “Airborne” that’s sold at Wal-Mart, Target and other major chains in the United States is based on Yin Qiao San. So it’s interesting to see how many modern products are taking older Chinese herbal formulas and then repackaging them into something new for a particular condition. That’s the idea of a patent medicine, it’s like an over-the-counter (OTC) medicine. The Chinese would head down to their pharmacy and pick up a prepackaged herbal formula for their particular condition. So, you have pre-made formulas that you can buy for particular conditions. That is one way to use Chinese herbs. Patent formulas are very convenient. Another way Chinese herbs are used is in bulk form. In other words, typically you go see a medical Chinese practitioner, and they may have a pharmacy with roots and they may have twigs, leaves and flowers of particular herbs that they put together in a formula for you. You then boil those down in what’s called a decoction with water and then drink the finished product. That is another way to take Chinese herbs. 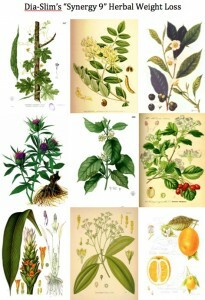 You have patent formulas, you have loose herbs or bulk formulas, and there are also other ways to take Chinese herbs. For instance, Chinese herbs come in granulated form. Granules or powders can be just the powdered herb itself or more often, if you are taking granules, basically what your taking is a concentrated form of herbs more potent than just a powdered herb. Granules are herbs that are decocted in water and then the excess water is boiled off until there is a strong concentrate. The concentrated formula is sprayed onto a substrate that can be the used herbs or powdered starch material. Granules are more concentrated than powdered herbs. If you take a ginger root and you dry and powder the root that is a powdered herb. If you take ginger roots and boil them or heat them in water to extract the active ingredients with water, that is a water decoction. If you then grind up the remaining ginger root left over after decoction and you spray that concentrate back onto the ground up ginger root, you can sometimes concentrate the active constituents up to 5 times or 10 times the original herb. 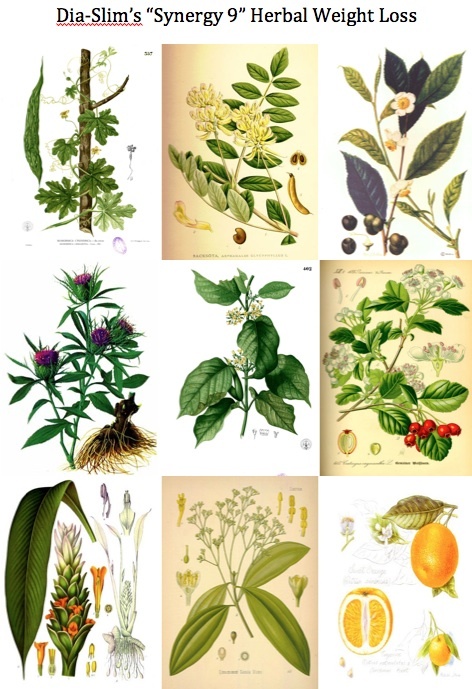 So if you see an extract and it says 10 to 1 or it says 5 to 1 it means that herbal formula is concentrated up to 10 times its original potency, so theoretically it would be 10 times more powerful then the actual herb itself, but that is debatable, and many schools of thought abound about the best way to take herbs. So you have patent formulas, and they can come in granules, they can come in tea pills, you’ll often see small BB like pills in Chinese medicine. Those small pills, called “tea pills” because they are made by first decocting the herbs in water to make a tea, are decocted and the material is made more dense and then rolled into a ball. Chinese herbs can also be taken in tablet form, which is just a different manufacturing process that often uses ground up herbs that are not concentrated. Chinese herbs come in tincture form as well. Tinctures are a form of Chinese herbs that I use with my company, TCM Nutra, and I’m really fond of tinctures. With tinctures, you get two powerful benefits: first you get the benefit of the water decoction, which is the way that all Chinese herbal formulas are traditionally made. And when you decoct an herb with water over time the water leaches out some of the active constituents of the herbal material. However with tinctures you get another powerful decoction method. Tinctures also use alcohol to extract the herbs, so then you take the physical herb and you put it into alcohol and that pulls out a number of other active constituents. Oftentimes the water cannot get out the oily constituents in an herb so with tinctures you get a broader range of the entire plant, you get more active constituents from the entire plant. Tinctures are powerful because they are first water extracted then alcohol extracted, then combined to create a therapeutic herbal formula. The final product is preserved in alcohol, which has been used for thousands of years as a preserver. A lot of people are worried, especially those who are health-conscious, about the alcohol. Many people don’t want alcohol so they don’t want to take a tincture, but the reality of the tinctures is that the amount of alcohol per serving is usually less than the amount of a ripe banana. So the amount of alcohol is really minimal and alcohol itself acts as a vasodilator and it helps the herbs to be absorbed. So tinctures are also a really good form of Chinese herbal medicine because the liquid delivery system makes them so absorbable and bioavailable. There’s a lot of misinformation about Chinese herbs on the Internet. Yes, many of the herbs from China and many of the herbal products from China have been tested in third party scientific labs and they were contaminated. That is really important to know. So contamination is an issue. Many herbs from China have lead levels that are unsafe, or they have other metals including mercury and cadmium, or they contain herbicide or pesticide residue. If you are buying herbs, you want to find a reputable company. I happen to use organic herbs in my formulas because I think organic is the best way to go. Not all of them are organic but the ones that are not organic we source very, very carefully in China to make sure they’re grown well and we always test our products in the lab to make sure there’s no pesticide or herbicide residue or heavy metals in the finished product. You often can’t get a guarantee that products manufactured in China are safe that is why I prefer to have my products manufactured in the United States. I hope this gives you some understanding of Chinese Herbal Medicine and how to use Chinese herbs. If you have any questions, you can always email me at james@blueridgeclinic.com and you can visit my website, www.tcmnutra.com where I have more information about herbs. We will teach you how to use Dia-slim for herbal weight loss. As a practitioner of Chinese medicine and developer of the herbal formula Dia-Slim, I recommend taking 1 ml twice a day in between meals. 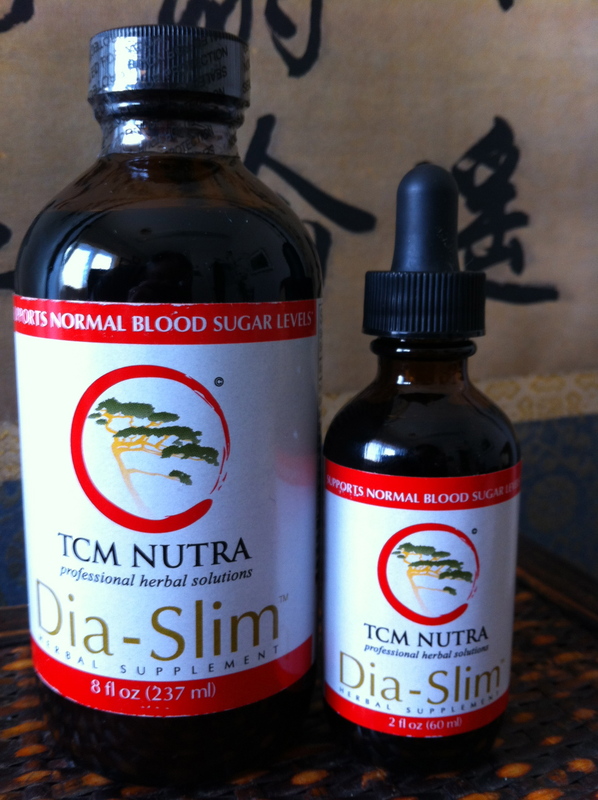 Using Dia-Slim will help curb your appetite, balance your blood sugar and short circuit your sugar cravings. By reducing sugar and carbohydrate cravings, Dia-Slim makes it easier to make healthy food choices while you are losing weight. Additionally, the formula will help you increase fat burning during exercise. As we developed the Dia-Slim herbal weight loss solution, we knew we wanted to use organic Chinese herbs and we have sourced these very carefully to ensure that our formula is pure and clean. Dia-Slim can be bitter to taste for some people. If you find Dia-Slim bitter, this simple herbal recipe will help you. 1. Add one dropper of stevia. 2. Add one dropper of Dia-Slim (30 drops). 3. Squeeze one quarter of a lemon into the cup. 4. Add a 1/2 cup hot water. 5. Stir briskly and let sit for 5 minutes. This herbal recipe for weight loss will taste good. Stevia also will help satisfy your desire for a sweet taste. To learn more abour Dia-Slim, go here. In our new ebook, The Chinese Medicine Weight Loss Solution, you will learn the powerful wisdom that ancient physicians from Asia have passed down through lineages for thousands of years. 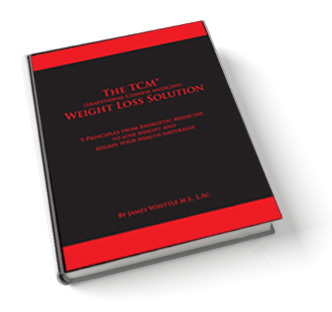 Additionally, you will learn the key tips and strategies used by real patients to lose weight. Weight loss fads come and go, but to achieve sustainable and lasting weight loss naturally, you need to know the health wisdom of ancient China. Our ebook will teach you the profound weight loss knowledge that the Chinese have used for thousands of years to stay slim, healthy and full of radiant energy. Chinese medicine is a system based on balancing the bodies energy pathways. When your body is balanced, you live in a state of symptom free ease. Losing weight is not really a priority when you are full of energy, as unwanted fat and adipose tissue simply burns rather than remain stored in unwanted places. The Chinese Medicine Weight Loss Solution will help you understand how to use the wisdom of this medical tradition in a simple and easy way. You can get started right now by reading this short letter I wrote to my patients and friends. To learn more about the Chinese Medicine Weight Loss Solution please read this letter I wrote about it to our patients and friends. When you lose weight with Chinese medicine, you will do so naturally and sustainably. Chinese medicine is the art of balance, and helps you achieve radiant health. In fact, losing weight is really just a side effect of a balanced lifestyle. The Chinese medicine practitioner will find causes of imbalance in your life and help you to make positive lifestyle choices. Chinese medicine is based in the ethical principle of “first do no harm.” Practitioners will not appeal to your vanity, and will remind you that vanity is simply an energy drain. When you feel great and are full of vital qi (energy) you will naturally lose weight. For thousands of years, physicians of Chinese medicine have been helping to keep people healthy. The time tested principles of acupuncture, Chinese herbal medicine and massage in addition to nutritional therapy, are not only profound medical modalities for keeping people healthy. They are also sources of powerful healing when people need to lose weight. When a patient needs to lose weight, a physician of Chinese medicine will tailor a specific program customized for that person and their unique diagnosis. Depending on the presentation of a person, the doctor of TCM might help a patient detoxify, or use herbs to stimulate the body’s ability to metabolize fat. Organic Chinese herbs are particularly useful for the patient who wants to lose weight, because the last thing an overweight person needs is more toxins backing up in their liver. In fact, many people are not even able to lose weight until they detox their liver. DiaSlim is a unique, organic Chinese herbal formula that utilizes the wisdom of Chinese medicine to help you lose weight. To lean more about DiaSlim go here. In Chinese medical herbalism, which has been practiced for more than 10,000 years continuously in China, Hawthorn Berry is a very popular herb. 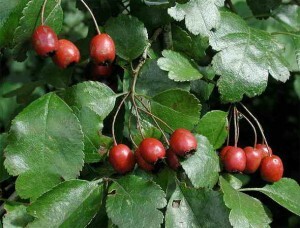 Hawthorn is the English common name for the botanical species, Crataegus. Crataegus is a member of the rose family, and the trees rarely get taller than 15 feet. Hawthorn trees are common here in western North Carolina, where about 4 species are present. More than 280 varieties of Hawthorn have been cataloged by botanists. Though the species differ, generally, Hawthorn berries will have similar herbal functions when used medicinally. The Chinese have used the species Crataegus pinnatifida and cuneata for much of their medicinal purposes. The Chinese call Hawthorn berry “Shan Zha.” Shan Zha is categorized as digestive herb, and is used in herbal formulas for weight loss, food stagnation and diabetes, to name a few. The flavonoids, and rich pigments of the berries help with lowering blood lipids and help clear a fatty liver. In accordance with TCM theory, since Shan Sha acts on the liver, spleen and stomach, it also acts on the blood and the heart. Shan Zha is characterized as sweet, sour and slightly warm. In our synergy 9 herbal formula for weight loss, Dia-Slim, we use the berry of Crataegus laevigata, see in the photo above. The berries of this Hawthorn species have a similar function as those of the Chinese species, while research has also shown a profound benefit on heart health. 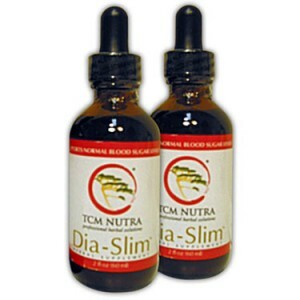 Dia-Slim combines the alcohol extracted and water extracted Hawthorn berry for maximal results and effectiveness. Not only does Hawthorn berry help promote weight loss and prevent weight gain, but research shows it lowers cholesterol and protects the heart from atherosclerotic build-up. Also Hawthorn berry is rich in antioxidants and can help oxygenate the blood and reduce inflammation. Because Hawthorn berry is slightly warming, it balances the cooling action of some of the other herbs in Dia-Slim like green tea and bitter melon. To use herbs effectively for weight loss, you want to target all of the problems associated with weight gain and body fat. In other words, it is not wise just to use herbs to burn fat. In fact, in Chinese herbal medicine, using herbs singularly was rare, more often masters of herbalism use formulas combining many herbs. You don’t want to just burn fat, you want to also reduce stress levels (cortisol) and reduce inflammation. The best strategy for herbal weight loss is using an herbal formula that targets multiple problem areas for people who need to lose weight. Our all natural herbal remedy for weight loss, Dia-Slim, synergizes and blends 9 herbs that strike multiple problem areas and multiple causes that contribute to weight gain. For instance, the green tea in Dia-Slim helps the body burn fat, while the cinnamon helps balance blood sugar while also burning fat. The hawthorn berry helps the heart and benefits circulation, while the turmeric reduces inflammation. Gymnema helps to short circuit sugar cravings and breaks your brain’s addiction to sugar and carbohydrate cravings. The tangerine peel prevents weight gain and reduces atherosclerosis. For herbal weight loss and for losing weight naturally, the herbal remedy Dia-Slim is a powerful choice. To learn more about how Dia-Slim can help you go here.